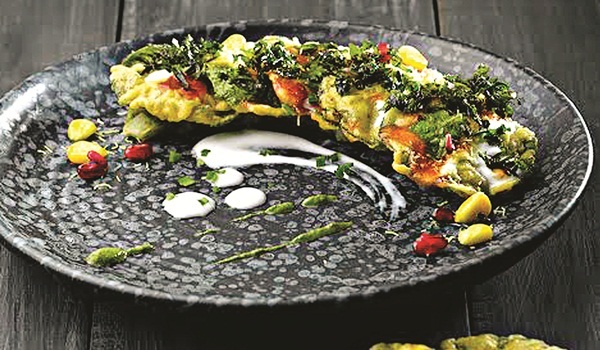 Zorawar Kalra, son of restaurateur Jiggs Kalra, burst into the Bengaluru circuit earlier this year with Farzi Cafe and is now back in UB city with another restaurant a�� Made in Punjab. Established in Delhi and Mumbai, the restaurant is all set to launch this week. The menu is Kalra getting back to his roots. Punjab has a rich legacy and enjoys the honour of having the most recognisable flavours when it comes to global Indian food. But Kalra feels that due to negligible written records, a select few dishes have now become a symbol for the food of the entire state. Somewhere during the time the cuisine gained popularity, the real taste of Punjab was lost. The food became uni-dimensional and replete with local influences. The menu at Made in Punjab challenges that. a�?Made in Punjab is our ode to the culinary legacy of the ancient farm rich land of Punjab, unified under the rule of Maharaja Ranjit Singh,a�? says Kalra, adding, a�?The philosophy is based on striking a balance between the authentic dishes of the region and global favourites.a�? The menu features some forgotten recipes from households and dhabas of Punjab. You can find dishes straight from Punjabi tables a�� both the bold flavours of dhabas and the comfort food of households. The menu is divided into soups, chaat, salads, burgers, kebabs, a special paneer section and our favourite, Mummyji da pyaar, focusing on home style food. Some special dishes are Hara Bhara Kebab, Raan pockets and Paneer Lababdar. They also bring down well known dishes like the famous Sarson Daa a�?Swaga��, B.C. (the classic butter chicken) and Barnala Town fish curry. The desserts sections boasts classics like Jalebi with Lachha Rabdi and Paan Kulfi among others. The menu promises to deliver a contemporary and quirky take on traditional classics, with an accomplished team backing it up. a�?Our culinary team includes chefs with extensive experience in the cuisine from the heartland of Punjab and surrounding regions. The head chefs of the brand, as well as the outlet hail from the Northern part of India,a�? Kalra reveals. Why Bengaluru, we wonder. a�?Why not?a�? he replies. The restaurateur feels the city has a vast population congregated and settled from India and across the globe. It has an international culture, with diners having a well exposed and sophisticated palate. The city has proved itself to be open to innovative experiences, he says. Competition does not deter Kalra, a�?All restaurants, including Farzi Cafe are competition,a�? he signs off.